Hofmann Engineering has landed a contract to supply two transverse tunnel thrusters for cruise ships for SEA 5000 bidder, Fincantieri. The new base order to Hofmann, which is now part of Fincantieri's global network of 80,000 subcontractors, also includes an additional two options that could see Hofmann construct up to six thrusters under this agreement. The order comes after Hofmann Engineering secured a pilot order with Fincantieri for a bow thruster last year for a Landing Platform Dock for a Middle Eastern Navy. Erich Hofmann from Hofmann Engineering said the West Australian business has now achieved alignment with European Union standards, opening up more export opportunities. "Since October, we have been able to develop our construction capabilities and tooling and have completed an alignment to European Union standards, allowing us to establish the conditions for EU certification," Hoffman said. "We achieved this under the supervision and guidance of Fincantieri, who have allowed Hofmann Engineering to take an enormous step towards competing more effectively in global markets." Additionally, Fincantieri and Hofmann Engineering have entered into a Memorandum of Understanding (MoU) to jointly co-operate in the potential development of Fincantieri’s €250-million global market (over five years) for the manufacturing of marine systems and components. Dario Deste, chairman of Fincantieri Australia said the partnerships of Fincantieri and Hofmann Engineering is demonstrative of the Italian SEA 5000 bidder's commitment to technology transfer in Australia. "We are committed to transferring technology to design, build ships, and the equipment within Australia, to create an export market. By transferring the knowledge and technology directly to Australian workers, management, institutions and businesses, Australia will gain the capability and independent control to design and build new vessels and the advanced equipment within them," Deste said. Sean Costello, director of Fincantieri Australia added that transfer of knowledge and technology to Australian industry is a key part of Fincantieri's SEA 5000 bid. "We’ve been very impressed with all the companies we have engaged and executed commercial agreements with over the past 12 months," Costello said. "It’s quite clear that Australian companies can compete both on quality and price, meaning that the local shipbuilding industry can participate in a highly competitive global market and succeed." 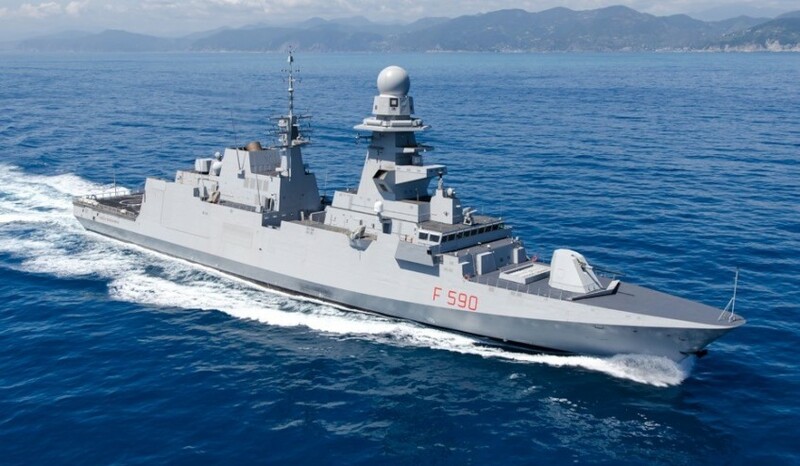 Fincantieri's bid for the $35-billion SEA 5000 project, the FREMM vessel, is up against BAE Systems Global Combat Ship and Navantia's F-5000. The winning bidder will design, build and sustain nine frigates that will replace Australia's Anzac class frigates. A decision from government is expected by June this year.